Let’s be honest, if you’re not a dog lover, Black Bolt #5 might not be as “full of feels” as it was for me. In #5 it just shows why people love their dogs too – in fact, why we love all animals in general. It was full of pretty pictures, doggos and general love – which is what all I have for this creative team (including Frazer Irving this issue!). This issue starts out with the wonderful Frazer Irving’s art – telling the story of Black Bolt and Lockjaw’s friendship, from when Black Bolt was a little baby to where we recently saw him in Inhumans Prime. You see Lockjaw (sadly) outliving his mother, developing a relationship with our King Black Bolt. After this we return to the main story that we’ve been treated to over the past few months, Lockjaw just saved Black Bolt from his cell. Realising what this prison is, who made it you get a sense of what Lockjaw means to Black Bolt. Like many people, what their dog means to them – his oldest friend. It’s really, really sweet, and I love it. 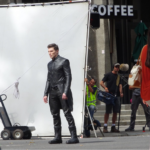 But equally, you see Black Bolt contemplate what to do next – return to his family? Or return to the prison which held him captive, but what unfolds in his mind genuinely made me happy. Saladin is a fantastic writer, and he definitely knows how to write the Inhumans – Medusa is stated as being able to handle Maximus, of course we know this but it’s just nice that even when not in this book she’s being written as a strong woman – it’s only a single sentence but it’s another thing that made me smile, I wonder if Saladin would write a Medusa solo? 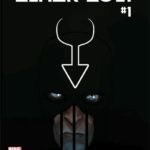 What I love next about this book is that it shows the Black Bolt has developed real feelings and connections to these people who aren’t his family. I’m not saying he’s completely Inhuman – but he does value family above all else, and so he goes back into the Prison. 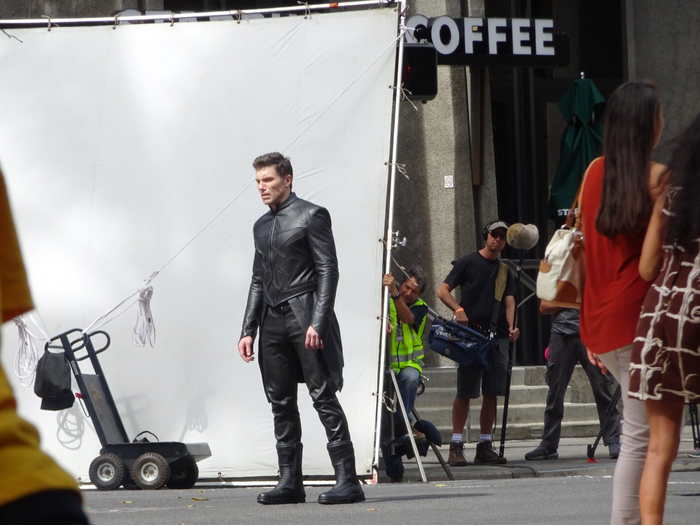 The to-and-fro between Blackagar and Creel is nice, Creel regaining his powers and Black Bolt genuinely pleased to be back with his pal. Creel introducing himself to the “Space Mutt” is also sweet. Because Lockjaw. The next few pages are dedicated to them finding Blinky, Molyb and Raava, for tonight – it seems like there is going to be a jailbreak. 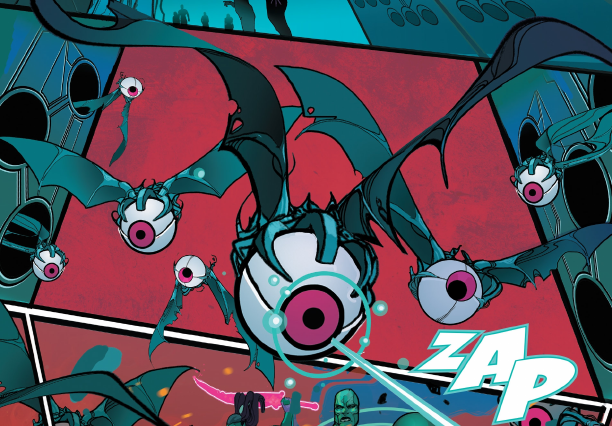 They end up having a few really cool action pages when they break into the Jailer’s Chamber, they get attacked by what I can only describe as Eye-Bats. That’s where I got hit in the feels. Lockjaw gets hit by an escaping Spyder, and lets be honest – Black Bolt’s response is what all of us would do. Completely decimate the person hurting our dog. 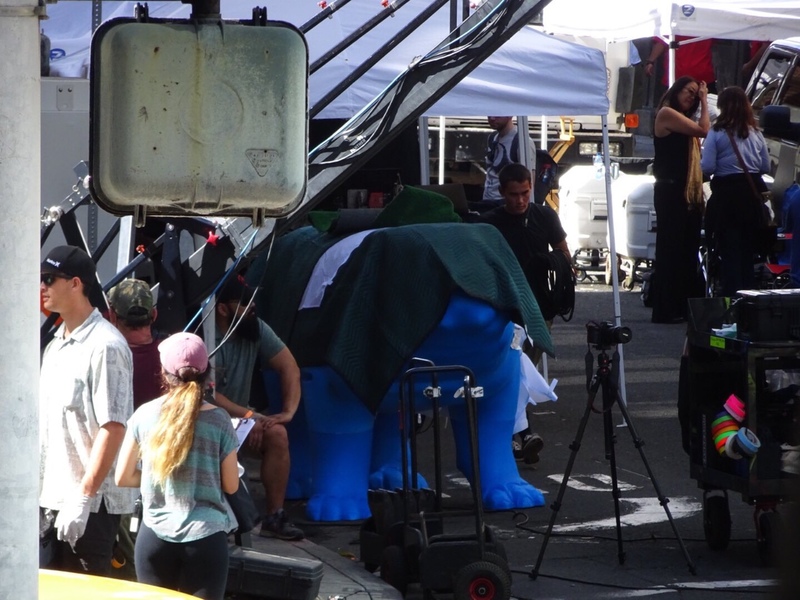 He’s still breathing though (Lockjaw, not Spyder). Our heroes finally reach the Jailer’s chamber and honestly, it’s not what I expected. It’s lots of monitors, lots of technology, and what appears to be a film of the Jailer when he was a prisoner himself – having a power that feeds off of other psychically, and it appears he’s been using his power for centuries – driving him mad. The next page shows something strange happening – the Jailer seemingly setting a trap. It looks like those who have died by Black Bolt’s hands are appearing in front of him, angry and making Black Bolt afraid. It ends, leaving us eagerly anticipating #6. Both the art and the story in this book are amazing, quite frankly, my favourite writers and artists at Marvel are those who have done wacky things, or their art is just really “out there”. I’ve spoken about it plenty of times on the Podcast. Christian Ward’s art is so space-y, it just works. What I really love is just the colour palette that he’s used, it’s dark, mysterious and just perfect for the story. Christian just seems to put mountains and mountains of effort into these pages – (also go follow him on twitter @cjwardart) honestly, Ward is (in my opinion) the absolute best choice of artist for this story, and he continues to show that. In a similar vein, Saladin Ahmed is the best choice of writer for this story. 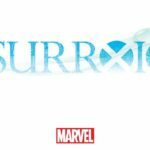 In my opinion it doesn’t read like what Marvel are currently pushing out, it reads like a story that you can really get involved with and attached to. Whilst some comics are more of a read once and not read again for half a decade, this one will keep drawing me back again and again. Maybe it’s because there are elements that just make it so human? It’s sort of how I felt about Guardians of the Galaxy Vol 2. It’s a great story, and just makes you want to read/see more because you do get invested. I can really get behind the idea of prose novelists coming to Marvel and writing a comic, it just works really well. 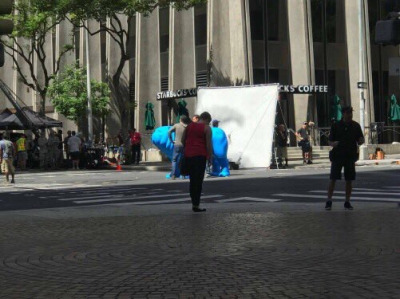 And finally, that Lockjaw story! 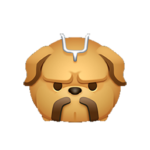 Frankly, it was amazing to see, does it finally solve the debate of whether Lockjaw was an Inhuman or Dog beforehand? 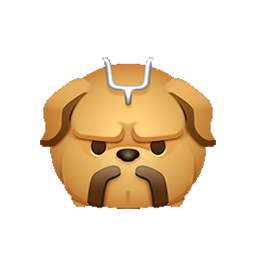 Or does it just beg the question, “Was Lockjaw’s mother an Inhuman or Dog prior to Terrigenisis?”. As you may have noticed, I’m not Doc. 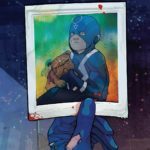 Us at Attilan Rising decided that I will take on the review duties for Black Bolt as long as it stays in print – we don’t want to burn out Doc! Of course, for regular listeners of the Podcast you already know just how excited I was and am for this book. Although Saladin Ahmed is a relative unknown to me, I’ve been told that he’s a brilliant writer and can really write a hero. However, the reason I’m excited for this book is the Art, Christian Ward has been a favourite of mine since I picked up ODY-C last summer, a book that I really urge you to buy if you are interested in the idea of classic literature being turned into Comicbook form. Christian Ward has a flare that I just can’t get from any other artist, he’s just so unique! But gushing aside, let’s delve into the actual content! The first thing I noticed is that it is a true #1 and it’s definitely a comic trying to appeal to those who are starting out with comics, which is definitely a good thing! 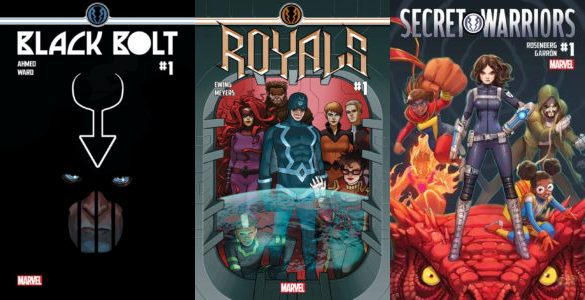 The story begins where Inhumans Prime ended, after Maximus did the obvious switcheroo Black Bolt has been bound, chained and muzzled, he’s in prison being held captive by someone – we don’t know who. Black Bolt begins recalling who he is, why he is there and there is a lot of description of what I can only imagine is Black Bolts inner monologue, whether or not that’s because Saladin Ahmed is a novelist and prefers writing in the third person – I’m not sure, but either way, in this situation I was imagining Black Bolt speaking within his own head. The following pages talk about the events leading to Black Bolts incarceration, a trick caused by Maximus himself. Black Bolt recalls his queen, son and brother. 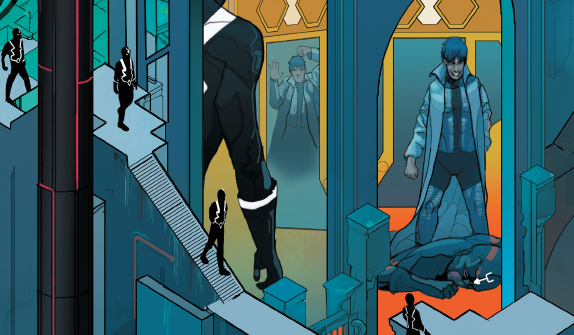 At this point Black Bolt seemingly realises he needs to escape to protect them – if you follow Royals I’m pretty sure Black Bolt is correct. At this point I feel like I need to just comment on Christian Ward’s art, like I’ve said before in both the Podcast and in this Review – Christian Ward has a spectacular style that I really love. Everything has clear defined edges, but yet the colouring gives it something chaotic, if you’ve read ODY-C you will know exactly where I’m coming from, whilst Black Bolt is probably slightly reigned in from ODY-C you can still see that his use of colour to bring attention to different parts of the page. It is utterly beautiful on the eye. Back to the story – this is where it gets weird, because Black Bolt being the hero that he is, hears a scream and goes to investigate, finding someone called “Blinky”. Blinky is a child, dying. This part of the book does get a bit weird, because out of nowhere comes Carl “Crusher” Creel. If you followed Christian Ward and Saladin Ahmed on Twitter then you would already have known of his inclusion, but it does seem an odd inclusion considering where we are. Black Bolt then gets into a scuffle with Crusher and ultimately using his skill and acumen defeats Creel easily, which again – we’re allegedly in a Kree Prison surely there are alien metals there that he can absorb? Also I’d personally like to know why Creel is there in the first place, considering the events of Illuminati. Whilst my Tin-foil hat conspiracies got too much for me, the book then became weirder. 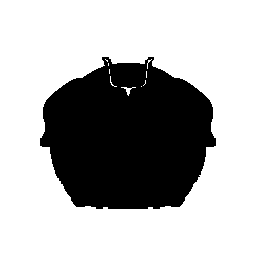 We’re introduced to a really interesting character… The Jailer, he is a complete unknown at this point. Black Bolt knows he’s evil, we see he’s evil and all goes to black. We are given an insight that this is a prison that was meant to hold Maximus, so are there mind games afoot? I’m not going to spoil the rest. It’s a single page and it takes some seeing to really get the gravity of what’s going on. So, overall, this book is genuinely really good. 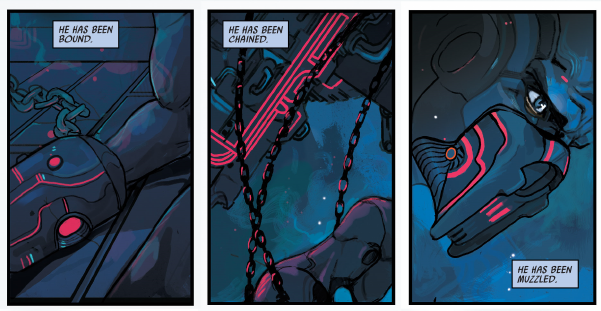 As an opener for a series I think it really does the job – Saladin has done really well at reintroducing Black Bolt to old and new readers. The story itself is more of a mystery-esque sci-fi book in my opinion. We want to find out who this Jailer is, we want to know what exactly is happening, why on Attilan is Creel there? Marvel have really done a really good job at hiring this creative team Saladin is a really great writer, and quite frankly I’ve been waiting for Christian Ward to get onto a Marvel book properly (not just covers) since I first saw his art last year. If Saladin wanted to generate some intrigue and mystery around his book, he’s done it. I’m subscribed to the series – I have been for some months in preparation. But honestly, it’s so worth picking up. My Lockjaw rating? 4/5 Lockjaws, whilst it’s not perfect, it’s an amazing start and I absolutely cannot wait until #2.